It's been less than a week since the fall finale of Grey's Anatomy, and we're already so over this hiatus. When last we saw Meredith Grey (Ellen Pompeo), she was trapped in an elevator with the very hunky Dr. DeLuca, just after he had asked for her to give them a chance, and just after she had accepted a drinks date with Link (Chris Carmack). Based on what star Giacomo Gianniotti had to say after the episode, we could actually be in for a MerLuca romance. "When we come back, we're still stuck in that elevator...you know, Meredith's been running from DeLuca in a way, every time he's offered something—"I gotta, go, I'll take the stairs, not right now, I've had a long week," so this is finally a chance where he's kinda got her backed in a corner, so there's nowhere to run so she has to talk, she has to tell DeLuca how she feels," Gianniotti told Daily Pop's Carissa Culiner on Friday. So when we come back from the break, we're going to be seeing Meredith in a place where she has no choice," he continued. "She will kind of say how she feels, they're gonna have a really heart to heart conversation about their lives and get to know each other on a more deeper, emotional level, and I think this is going to help both of them fall more in love with each other." Now, just because that sounds very promising for this sweet little relationship, that doesn't mean Link's out of the picture. "It's very much a love triangle. But in a chess game between Link and I, this is where I have a move against him because I get this special time in this elevator that he doesn't, so he's going to have to work very hard to catch up." 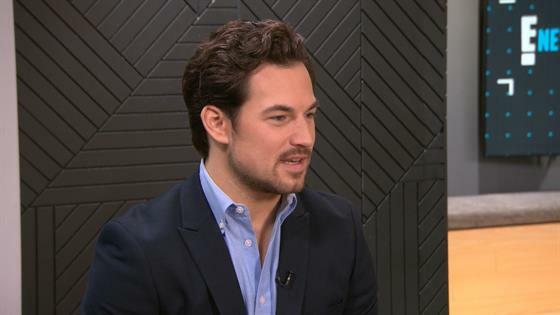 Does Giacomo Gianniotti Know If Ellen Pompeo Is Leaving? Click play on the videos above to hear more about the love triangle and the future of the show, as far as Gianniotti knows it. Grey's Anatomy will return to ABC in 2019.